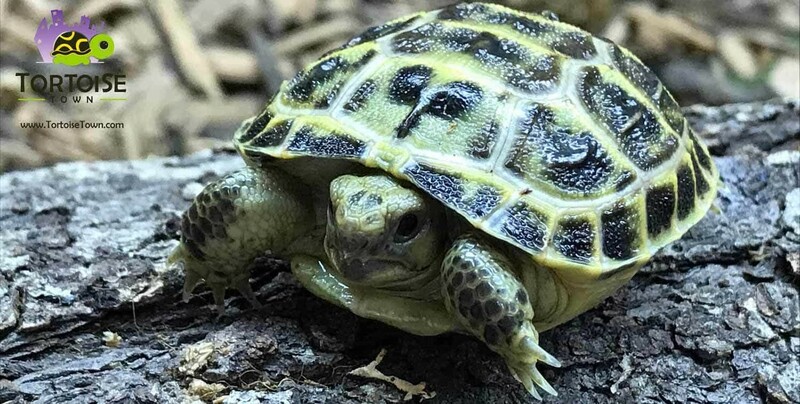 Shop for baby Indian Star Tortoises for sale online but first explore the ins and outs of indian star tortoise care. Before purchasing your new captive bred indian star tortoise for sale, or captive bred baby indian star tortoise for sale find a qualified indian star tortoise breeder, who specializes in only captive bred tortoises for sale (including indian star tortoises for sale) and be sure to do your proper research to understand how to provide your new baby indian star tortoise habitat it needs and deserves. Indian star tortoises are found in and around India (where they derive their name), Pakistan, and Sri Lanka. 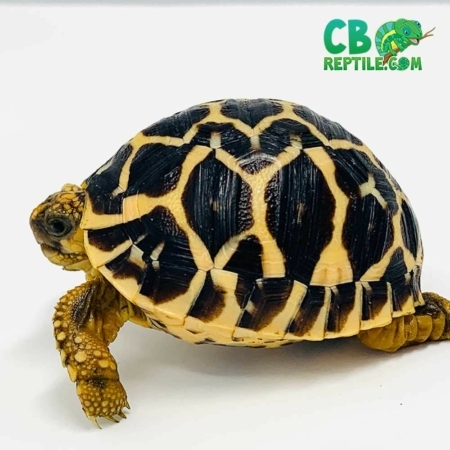 The Sri Lankan Star tortoise for sale is another type of subspecies of the indian star tortoises. They are typically shy tortoises with beautiful patterned carapaces and stay fairly small. Indian star tortoises are not large tortoises in comparison to the Sulcata’s and many other pet tortoises but that doesn’t mean they don’t still need their space. Indian star tortoises can be housed indoors in a large fish tank or plastic container, like an under the bed box or storage container. They don’t need much height to their enclosure but should be protected from other pets in the house (cats and dogs) with some sort of a screen top. Outdoor enclosures should be several feet (preferably five or six feet) squared with walls that your tortoise cannot see over. Star tortoises typically don’t dig so you shouldn’t have to worry about burying the walls in the ground very far like you do with many other tortoises. A secure covering should be placed over the tortoises when left unsupervised to prevent wildlife from getting to them. Birds, raccoons, opossums, and other wild animals have been known to hurt and eat pet tortoises that are trapped in outdoor enclosures. A moist hide box and a large water bowl that they can easily climb into should be provided at all times in addition to a bedding made of potting soil (no chemicals), peat moss, or even hay or grass. Tortoises of all kinds require both heat lights and UVB lights. Heat lights are meant to keep your star tortoise warm and UVB lights help process Vitamin D3 so calcium can be properly absorbed. Without both kinds of lighting your star tortoise will not do very well long term. Large heat lights are needed to heat the large enclosures that star tortoises require. Many owners opt to use a mercury vapor bulb which is a combination of UVB and a heat light if they have a turtle room or large pen for their pet. Otherwise traditional reptile heat bulbs and a separate UVB bulb should be utilized to provide a basking area temperature near 90 degrees Fahrenheit and not let the rest of the enclosure drop below the 70’s. The UVB bulb should stay on for a 12 hour cycle and by replaced every six months, even if it doesn’t burn out. The invisible UVB rays will run out before the visible light burns out. Star tortoises are herbivores. This means they should never be fed dog or cat food but instead get plenty of fresh, dark, leafy, greens and grasses. Timothy hay, Bermuda grass, orchard grass, rye grass, alfalfa, and fescue are all types of grasses that are acceptable. Fresh greens include kale, endive, parsley, dandelion greens, escarole, spineless cactus leaves, mustard greens and more. A good variety of these and other greens that have a higher calcium to phosphorus ratio should be offered on a regular basis so your tortoise does not become a picky eater. A calcium powder should be dusted on the greens daily to make sure your Indian star tortoise is getting enough calcium in their diet. A very small amount of fruit may also be offered. Star tortoises are very long term pets, very beautiful, and can also be a very expensive purchase. Make sure you are ready for this type of a pet before picking up a cute little baby tortoise at the next reptile show or pet store.